These tables have been prepared for the benefit of those requiring tables of units for occasional ready reference. In Section 4 of this Appendix, the tables are carried out to a large number of decimal places and exact values are indicated by underlining. In most of the other tables, only a limited number of decimal places are given, therefore making the tables better adapted to the average user. In the metric system of measurement, designations of multiples and subdivisions of any unit may be arrived at by combining with the name of the unit the prefixes deka, hecto, and kilo meaning, respectively, 10, 100, and 1000, and deci, centi, and milli, meaning, respectively, one-tenth, one-hundredth, and one-thousandth. 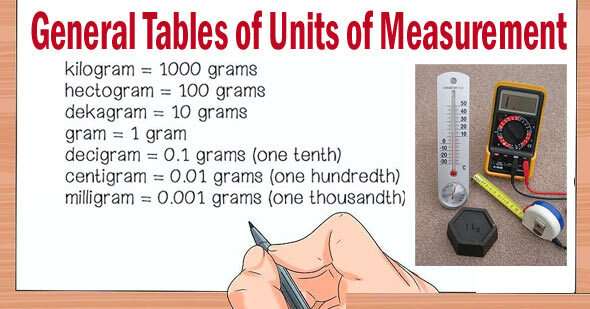 In some of the following metric tables, some such multiples and subdivisions have not been included for the reason that these have little, if any currency in actual usage. By action of the 12th General Conference on Weights and Measures (1964), the liter is a special name for the cubic decimeter.